Do you use a printer in your home or office that uses refillable cartridges? Replacing your empty printer or copier cartridges every time they run out is expensive and takes a toll on the environment. Businesses that provide ink and toner cartridge refilling can save consumers money and help protect the environment from unnecessary waste. More than 375 million empty ink and toner cartridges are thrown out every year, according to The Energy Collective. That translates to about 1 million cartridges per day or about 11 per second. That's a lot of ink, chemicals, and plastic going into landfills with the potential to pollute soil and water. A business refilling cartridges can help limit this waste and also help educate clients and potential clients on the environmental benefits of the service you provide. There are plenty of resources online for learning how to refill ink and toner cartridges. With a little bit of practice, you can master the process within minutes. For ink cartridges, it's generally just a matter of drawing ink into a syringe, then injecting it carefully into the cartridge. For toner, the process can be a little more difficult because not all cartridges have a fill hole, so you'll need to learn how to do so safely. For as expensive as it is to buy ink cartridges and toner cartridges, you'd think the actual ink would be more expensive than it is, but it is not. While ink cartridges can cost as much as $50 apiece and toner cartridges can cost more than $100, you can buy a gallon of ink for about $130—and that should be enough to refill nearly 400 ink cartridges. Bulk toner is more expensive. A bottle providing a single refill can range from about $20 to $40, but that's still a fraction of what an entirely new cartridge costs. 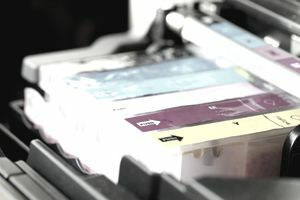 Many stores offer refilling services for ink cartridges, charging prices that range from about $7 to $15, depending on the brand and style of cartridge. To be successful you need to establish your business as a reliable alternative to an affordable service being provided by brand-name stores such as Walmart and Costco. Some potential customers might even prefer bringing their empty cartridges to a store as opposed to inviting someone into their home to do the job. Acquiring business accounts may require you to offer more than just refilling services. Even small businesses are using far more ink and toner than individuals, and most businesses you encounter have maintenance agreements in place with printer supply and repair companies. These deals often already include ink and toner recycling and refilling. In order to compete, you might need to offer complete maintenance services for printers and copiers.